Next year, 75 percent of internet use will be mobile—and a big reason is the changing habits of millennials. How do you reach a generation that wants its content à la carte and on-the-go? The trick is better understanding how they consume content and how those habits change by platform, moment, or simply mood. From cross-device strategy to micropayments for everything from news content to crosswords, find out how to build a vibrant—and revenue-smart—content strategy that coincides with mobile lifestyles. Where Are Millennials Spending Their Money? To start, millennials do consume news—and a lot of it. 85 percent say keeping up with the news is important to them, and 69 percent consume news daily, per a study from the Media Insight Project. More importantly, they’re paying for it—40 percent of millennials have personally paid for the news out-of-pocket. So what are they paying for, and how? To understand this, it’s critical to look at a couple of other trends—like TV-watching. Cable TV, and bundling specifically, is under assault, thanks to offerings from OTT services like Netflix, Amazon Prime, and Apple. The overall consensus is that millennials want to cut the cord—that is, stop paying for channels they don’t care about and pay only for content they like. In the online content business (like the one news is in), this has led to a number of clever ways to forego basic subscription models and conceive new ones. From November 7–9, in prime election mania, The New York Times granted everyone unlimited access to both its online and mobile stories (which it shared on Facebook, of course). This is a great way to give people a sense of what your premium offerings feel like, and it has a strong precedent: During Brexit, a major financial event, FT.com opened its paywall as well, yielding a 600 percent rise in digital subscriptions. 20 percent of FT.com readers are millennials. 32 percent of New York Times readers fall into the millennial demographic, and while many may pick and choose their news stories, that’s not all they’re interested in. For this reason, the paper offers separate payment options for access to its crossword puzzles. In Q1, the crossword Stand Alone grossed two million dollars in revenue. People’s habits change from moment to moment and from platform to platform; why should a meter stay the same? Some papers offer a certain number of articles or features free via mobile, and a different number via desktop, where content is less consumed. But you can get even more creative: Change your meter around a rainy day or a big event. Or offer more generous content availability during low-traffic periods (“happy hour” for your website). A meter can evolve as readily as people can. 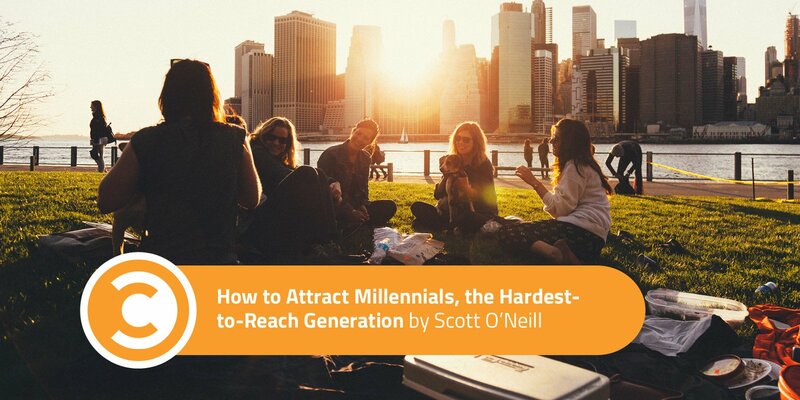 Millennials consume a range of services, so why not tap into this audience? The Times, a British paper, has a co-sell collaboration with Spotify, whose 100 million users and under-40 demographic is highly desirable. What Platforms Do Millennials Love Best? Another point worth taking to account—which we’ve already touched upon a bit—is differences in platform use. Today, 65 percent of digital media is consumed via mobile, making it a key resource for content availability; 35 percent of millennials grab their smartphone first thing in the morning. The Economist has been particularly clever in this regard. Its Espresso app offers a curated selection of articles each day, none over 120 words—what it calls a “shot of journalism.” The result is that this paid app has been downloaded over one million times. Quartz has also nailed down how millennials like to consume news: Its own sponsored news app delivers a short, curated selection of stories in the form of text messages. You get a short blurb, then the option to learn more, or jump to the next story. The app is also jam-packed with charts, GIFs, and emoji, making news consumption feel more conversational, and perfect for a mobile context. The lesson in all this is that the decline in basic subscriptions, and the rise of new technology, has gifted us with more imaginative ways to approach content consumption. Millennials, like any up-and-coming generation, are curious and inquisitive. Their presence in social media also puts them under a lot more pressure to make smart choices about what they choose to consume, but also to be informed about anything that might come up in conversation—from politics to culture to the economy. Take advantage of that by better responding to the consumption style that suits them best. Scott is the Senior Vice President of North America for MPP Global, with over ten years of client service and leadership experience. Scott has delivered his innovative vision of digital content monetization to publishers, newspapers, magazines, broadcasters, Pay TV operators and TV Networks across the globe.